Denise Huddleston Webster-Puryear affectionately known as Niecy was born to the union of Dwight H. Webster and Doretha A. Parsons-Webster on October 2, 1961. She accepted the Lord Jesus as her personal savior while living in Johnstown. Denise went to rest with God on January 10, 2019 after a difficult battle with cancer. Denise had an infectious laugh that would cause those whom heard it to laugh with her even if they didn’t know what she was laughing at. Denise loved family and they were what was most important to her. She lived for her children and grandchildren. She found great joy and comfort in the company of her grandchildren. Denise had a strong relationship with God and praised and worshiped him at every opportunity. Denise was a happy person and would always try to find the silver lining in whatever situation she was in. 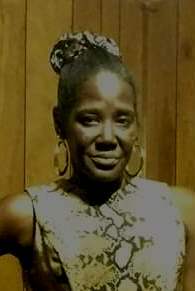 Denise is survived by her four sons Daryl Lee, William Huddleston, Devone Huddleston, Quin Baxter (all from Johnston Pa.), a sister Christine Webster, from Pittsburgh, her brother Dr. Rev Dwight “Rickey” Webster Sr. from Cincinnati Ohio , Darrell Webster, from Pittsburgh, 13 grandchildren, all from Johnston PA., one great aunt Crissie Taylor, two maternal aunts Geraldine Massey, Darlene Penn and uncle Anthony West (all of Pittsburgh Pa.), Five nieces Selenia R. Webster, Renee R. Outten (Thomas), Eugenia M. Webster, Deanna L. Stephens (Mario), Ayana L. Webster and five nephews Kenneth E. Webster, Marcus A. Webster, Dwight Webster Jr., Drew Webster, Jaquan L. Webster, a host of cousins friends, and extended family. Friends received from noon until the hour of memorial service at 1pm Saturday at John Henderson Company Funeral Home, 215 Central Ave., with Dr. Dwight Webster, Sr. officiating.